If you could meet your teenage self, what would you say to them? Thirtysomething Luisa Arambol gets the opportunity to find out in Luisa: Now And Then. It’s the latest release from Humanoid’s Life Drawn line of graphic novels, which tell more grounded, intimate stories than the publisher’s signature sci-fi and fantasy offerings. 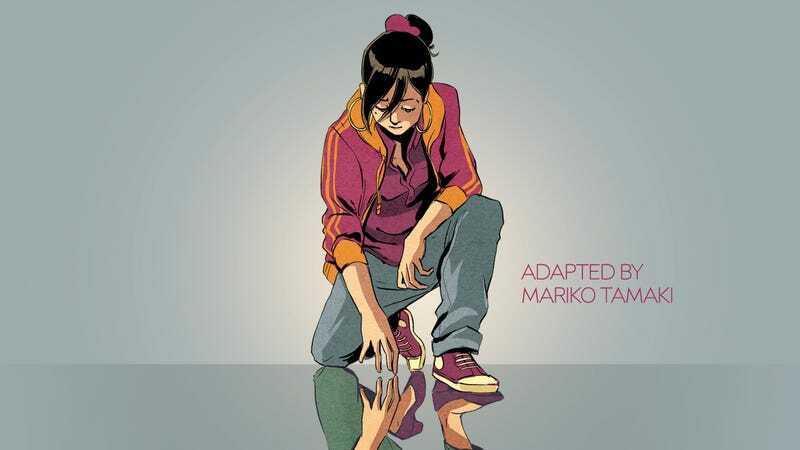 Written and drawn by Carole Maurel and adapted by Mariko Tamaki, this book is a poignant time travel story with a queer romance angle, and the intensity of teenage Luisa’s feelings reveal aspects of the adult Luisa’s personality that have been buried for years. Tamaki has significant experience exploring teenage characters in books like Skim and the Eisner Award-winning This One Summer, and she takes Nanette McGuinness’ translated dialogue and adapts it for an American ear. It’s an interesting editorial decision that makes for a very smooth read, making it easy to get swept away in the heartwarming friendship that develops between the two Luisas. This exclusive preview of Luisa: Now And Then introduces the two main characters, beginning by accentuating the isolation young Luisa feels as she finds herself mysteriously transported to Paris after falling asleep on the bus. Maurel renders the French cityscape in rich detail, and when the story switches to adult Luisa, there’s a significant rise in activity on the page. This older version of Luisa is part of the city rather than separate from it, but the scene reveals that she still struggles with loneliness as she engages in romantic relationships that lead nowhere. Maurel’s characters are full of emotion, and her control of body language and facial expressions quickly enlivens the cast and invites the reader to empathize with their experiences. Maurel and Tamaki take these women on a powerful journey through their past and future, and readers can join them by picking up Luisa: Now And Then on June 20.